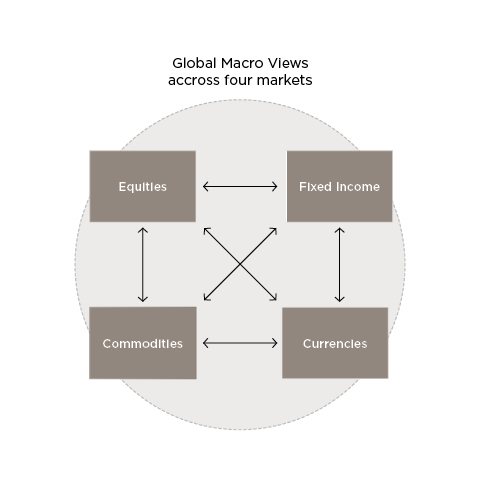 We focus on the impacts of macro events on all four asset classes: equities, fixed income, commodities and currencies. We develop tactical and structural views on the global economy that help guide investors. Our goal is to remain independent and thus, our views are often against consensus.